Resident Representative of the International Monetary Fund (IMF) in Ukraine Balázs Horváth is going to leave his office, a well informed source at the IMF told Interfax-Ukraine. "Now he [Balázs Horváth] is away on holiday, but he plans to change his job and start to work for the UN office in Slovakia. His resignation has nothing to do with the [current] developments in Ukraine," the source said. Horváth has been working in Ukraine since September 2007. 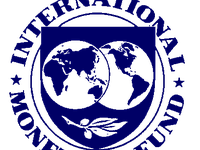 In November 2008, the IMF approved a stand-by loan program for Ukraine to the tune of SDR 11 billion, or $16.5 billion. The National Bank of Ukraine has already received SDR 3 billion of the amount.